The Anti-Corruption and Integrity in the Arab Countries (ACIAC) regional project continued its collaboration with UNDP Tunisia to support inclusive consultations among key stakeholders in the country on three anti-corruption bills that were developed by an intergovernmental committee in June 2014 with the support of the regional project. 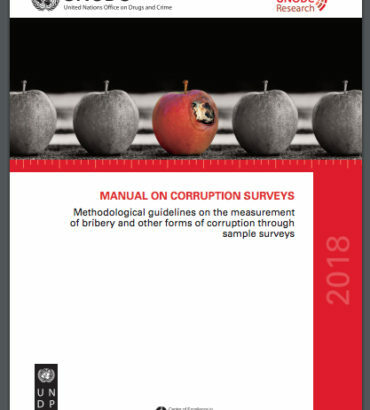 The bills cover “illicit enrichment”, “asset declaration” and the “protection of whistleblowers against corruption in the public sector” and are designed to be in line with the UN Convention against Corruption (UNCAC) and compatible with the Tunisian context. After having completed consultations earlier this year on the whistleblowers protection bill, ACIAC collaborated with UNDP Tunisia to organize a national consultation workshop on the 28th and 29th of July in collaboration with the Government and the National Anti-Corruption Authority. The workshop focused on the other two bills and enabled more than 80 participants from the public sector, civil society and academia to review the proposed legal texts and provide their comments and recommendations in the framework of an interactive discussion on national particularities and related international standards and comparative experiences. Over the following two days, the ACIAC regional project supported the intergovernmental committee to examine the findings of the consultations that were conducted in 2014 and 2015, including those that were done within the Government and in the form of multi-stakeholder workshops. As a result, the committee was able to integrate a number of recommendations to the three bills and agree on the next steps including their finalization and the embarkation on the development of additional bills namely on conflict of interest. On the occasion, Mr. Tarek Bahri, Director General on Governance at the Office of the Chief of Government expressed strong appreciation for the technical support provided by the ACIAC regional project. He announced readiness to proceed with the submission of the three bills to Parliament, while also highlighting the importance of accelerating the pace of anti-corruption legislative reform in Tunisia in an inclusive and effective manner. • ensuring public access to information and the protection of fundamental freedoms. To read full transcript of speech, click here. On 16th October 2015, the United Nations Development Programme (UNDP) in China brought together prominent Chinese anti-corruption experts from China Center for Comparative Politics and Economics, China University of Political Science and Law and Tsinghua University as well as representatives from the Central Party School and local Academies of Governance from Beijing, Shandong, Shanghai and Sichuan to discuss the design of an anti-corruption training curriculum for Chinese civil servants. In the framework of the UNDP Global Anti-corruption Initiative, UNDP China has been partnering with the China Academy of Governance (CAG), previously China National School of Administration, a training institution for middle and senior government officials, to develop an anti-corruption curriculum to be incorporated within CAG’s department of law training programme, with the support from experts from the UNDP Bangkok Regional Hub and the Malaysia Anti-Corruption Academy, a reference for training civil servants on anti-corruption in the Asia Pacific. Speaking at the opening of the workshop, Ms. Jade Mali Mizutani, UNDP Programme Manager, commended CAG for its contribution to promote the rule of law and integrity education for civils servants in China, noting that “building a culture of ethics and promoting an exemplary conduct within the civil service through integrity education is essential to a country’s development as a clean civil service is one of the cornerstones of effective governance, and training schools for civil servants play a leading role in corruption prevention”. This initiative comes at a timely moment, after the Fourth Plenum of the Chinese Communist Party Central Committee has placed a special emphasis on the rule of law and building a clean government. This also comes as the United Nations has recently adopted a new global 2030 Agenda, known as the Sustainable Development Goals, including Goal 16: Peace, justice and strong institutions. According to estimates, the direct cost of corruption to socio-economic development in China amounts to as much as 3 percent of its GDP per capita, not to mention its many indirect costs. Integrity education has been identified by the Chinese Government as one of the means for combating corruption as part of its national integrity system and as reflected in the 2013-2017 country’s anti-corruption plan. The workshop also provided a networking platform for training schools to share knowledge and experiences on ongoing integrity education initiatives. Participants welcomed this initiate as providing schools at both central and local levels with the opportunity to engage in a more systematic reflection on how to develop comprehensive integrity education curricula and training of trainers programmes. It is UNDP’s hope that this initiative will contribute to the efforts towards a more integrated approach to integrity education in China, as well contribute to reaching the development targets for the new 2030 Agenda. Sixteen Pacific Islanders had the opportunity to build their networks, knowledge and understanding of anti-corruption issues at the recent 16th International Anti-Corruption Conference (IACC), held September 2015 in Putrajaya, Malaysia. Supported by the UN Pacific Regional Anti-Corruption (UN-PRAC) Project, the participants were from government and civil society organizations in Fiji, PNG, Solomon Islands, Cook Islands, Tonga, Vanuatu, Kiribati and Tuvalu. The International Anti-Corruption Conference is the world’s premier global forum that brings together heads of state, civil society, the private sector, academics and others to tackle the increasingly sophisticated challenges posed by corruption. The IACC takes place every two years in a different region of the world and attracts up to 2000 participants. Vani Catanasiga, from Fiji, said that as a representative of a grassroots group made up of youths advocating for Free, Prior and Informed Consent (FPIC)—the principle that a community has the right to give or withhold its consent to proposed projects that might affect the lands they customarily own or occupy, particularly in the face of increased extractive activities—the sessions on the Extractive Industries Transparency Initiative or EITI were everything she had hoped it would be and even better. She enjoyed the practical experiences shared by the speakers, built some great contacts and thought the reading materials complemented the sessions well. Upon returning from the 16IACC, Vani convened a meeting with her youth group to share her experiences and stories. The UN-PRAC Project has enabled Pacific parliamentarians to more effectively engage with the United Nations Convention Against Corruption (UNCAC) and bolster corruption prevention, several Pacific MPs told a world conference of parliamentarians in Yogyakarta, Indonesia in early October 2015. Six Parliamentarians from Cook Islands, Fiji, Kingdom of Tonga, Kiribati, and Tuvalu participated at the Sixth Global Conference of Parliamentarians Against Corruption in Yogyakarta, Indonesia, through the support of the UN-PRAC Project. With the theme “Bringing perpetrators of grand corruption to justice for a sustainable world where all citizens can live in prosperity and equity”, the Conference was a joint initiative of the House of Representatives of the Republic of Indonesia, Global Organization of Parliamentarians Against Corruption (GOPAC), South East Asian Parliamentarians Against Corruption (SEAPAC), and GOPAC Indonesia. MPs from the Pacific Island countries, including three GOPAC Pacific Chapters and the Anti-Corruption Standing Committee of the Kingdom of Tonga, facilitated a successful session titled, Partnership to Curtail Corruption in the Pacific that consisted of MPs from Cook Islands, Fiji, Tuvalu, Tonga. This was an opportunity to showcase the partnership of the United Nations Development Programme (UNDP), United Nations Office on Drugs and Crime (UNODC), GOPAC Oceania, and Members of Parliament in the Pacific region. The Global GOPAC Conference is a premier event in the anti-corruption calendar that brings together current and former legislators, government officials, international organizations and anti-corruption advocates from around the world to discuss key issues on the global fight against corruption, focusing on the role of Parliamentarians. At the Conference, Tonga’s Member of Parliament and Anti-Corruption Standing Committee Chair, Lord Fusitu’a, promoted the work of the Tongan Youth Against Corruption network through a video produced by the youth that highlighted their work in-country (grassroots to Parliament) as a build up to the participation of two of their representatives at the 16IACC. During the Partnership to Curtail Corruption in the Pacific by UNODC, UNDP, and GOPAC Oceania under the UN-PRAC Project session at the GOPAC world conference, Tongan parliamentarian Lord Fusitu’a directly linked capacity building and UNODC/UNDP assistance to the establishment of the Pacific’s first Standing Committee on Anti-Corruption, in the Parliament of Tonga. “Direct workshops and training for MPs by UN-PRAC, in concert with UNCAC awareness in Tonga for youth, civil society, media and the private sector, saw the standing committee plus a GOPAC Tonga chapter established with a mandate to appoint an Anti-Corruption Commissioner post which has been vacant for nine years and progress signing on to UNCAC,” said Lord Fusitu’a. Tuvalu’s only woman MP, Puakena Boreham, said her involvement along with her Speaker at the GOPAC/UN-PRAC regional workshop in Suva, Fiji in July and now in Indonesia had given her the tools to progress a select committee on anti-corruption, now that Tuvalu had finally signed onto UNCAC. GOPAC Cook Islands chair Minister Nandi Glassie said that the GOPAC/UN-PRAC partnership in the Pacific was vital so as new and re-elected MPs could effectively oversight the Cooks’ commitments under UNCAC. Other Pacific parliamentarians and government officials from Fiji and Kiribati also contributed during the three day conference, with UNODC’s Pacific Annika Wythes presenting in a further session, “Stop stealing from us: tools and mechanism to build anti-corruption prevention system”. Meeting Mateni Tapueluelu (an MP) who linked the youth with the Anticorruption Committee in Parliament. Three youths from Tonga, Kaufononga Pulu, Lineti Latu and Tevita Vaha’i participated in the Pacific Youth Forum Against Corruption hosted by UNDP and the Pacific Youth Council through the support of the UN-PRAC Project. Immediately following the youth forum, the youths started a campaign called GOSH Don’t C.R.Y (Corruption Robs Youth) where they collected evidence of youth from various backgrounds who were affected by corruption. The data collection was called ‘A Thousand Stories.’ With the on-going collection of stories, youth representatives presented their findings to Parliamentarians, the media, and various civil society organizations. Recognized by the Chairman for the Anti-Corruption Standing Committee, the youths were invited to present at the committee and there, they formed a partnership between Parliamentarians and youth in the fight against corruption. They are currently undertaking plans to raise awareness nationally, continue the ‘thousand stories’, and also establish partnerships which will help youth and the public at large know how to fight against corruption. The 2030 Agenda for Sustainable Development, approved by the UN General Assembly in September 2015, includes key elements on tackling corruption, justice, and other human rights, which were not part of the Millennium Development Goals. This agenda gives a new momentum to rethink approaches on how to promote transparent and accountable judiciary to deliver justice for all. A key imperative is to develop integrated solutions involving a range of actors working in the criminal justice chain and anti-corruption while exploring new pathways to involve the community. “Transparent and accountable judiciary to deliver justice for all“—a forthcoming report by UNDP Bangkok Regional Hub and U4 Anti-Corruption Resource Centre-Chr. Michelsen Institute—highlights innovative experiences for promoting transparency and accountability within the judiciary. It explores the potentials of reforms and new technologies for involving the broader community in judiciary reforms. Experiences of community involvement range from providing a feedback loop on access to justice, being associated to reform processes, to scrutinising trials. The report also looks at the effectiveness of “internal” mechanisms for strengthening integrity and accountability within the judiciary such as vetting of judges, codes of conducts and judicial oversight. 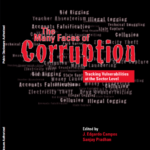 The report draws on expert discussions during the 16th Transparency International’s International Anti-Corruption Conference in 2015, country experiences collected during a call for information in May 2015 as well as during an e-discussion on strengthening judicial integrity in 2013. The report includes case studies from Afghanistan, Nepal, Indonesia, Nigeria, Philippines, and Somalia. The report has four main parts and concluding recommendations (see below for full Table of Contents). 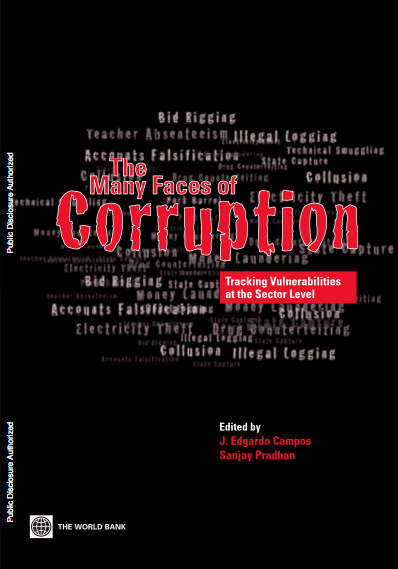 Section 1 looks at the cost of corruption on access to justice for the poor and marginalized who are particularly vulnerable because they cannot afford to pay bribes or gain access to influential networks. At the same time, these individuals are often the most in need of judicial responses to protect their human rights in criminal justice processes, access to public services, and disputes over legal title of land. Section 2 discusses the main international principles and assessment tools available that address judicial integrity. The experience from Nigeria distils lessons from a multi-year judicial reform programme where the broader community was instrumental in developing a baseline for the reforms and monitoring progress over time. Section 3 argues that although technology itself is not a panacea, automation of court services and proceedings can be a way to expedite procedures, avoid human interaction minimizing corruption risks, and provide access to court information and statistics to the citizens. Indonesia and the Philippines provide case studies on how technical solutions can open up judicial verdicts to public scrutiny. In Section 4 innovative ways to involve the community to increase integrity and accountability from Afghanistan and Nepal are presented. Section 5 focuses on more “internal” tools to strengthen judicial oversight mechanisms, but does so reflecting on their usefulness in different contexts, such as in Ukraine and Somaliland. The report concludes with a call for more integrated analysis of corruption in the overall criminal justice chain as a condition for effective judiciary reforms, particularly looking at the role of the police and penal institutions. 6. Lessons learnt and what ways forward? UNDP BiH seeks to recruit a parliamentary cooperation officer to support the work of the BiH Parliament in defining and establishing anticorruption methods and practices in their work. The incumbent will support the organization of the anticorruption training for the BiH parliamentarians in the area of anticorruption and will assist UNDP in liaising with the relevant parliamentarian commissions and administration. S/he will liaise with the BiH Parliament and GOPAC in fostering mutual cooperation and collaboration. The objective of this assignment is to support project partners and stakeholders in establishment of the parliamentarian anticorruption practices and implementation of the international standards and norms in this regard. This post will contribute to wider understanding of the role of the legislative power institutions, such as BiH Parliament, in the overall anticorruption governance model and will support. UNDP BiH seeks to recruit an anticorruption governance specialist to assist partner institutions in improving their capabilities to govern anticorruption interventions and to improve their Anticorruption Strategy monitoring and evaluation skills. 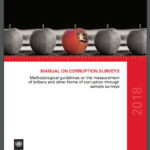 Purpose of UNDP’s engagement in anticorruption field in BiH is to strengthen current anticorruption activities and to maximize outputs by utilizing its own local presence, participatory working modalities, developed methodologies and regional anticorruption portfolio and pool of exerts to suit BiH-specific needs. The objective of this assignment is to assist UNDP in coordinating work among different experts and stakeholders in the area of anticorruption. It is expected that the incumbent will act as a team lead and will be a primary point of contact for for the project partners in this anticorruption initiative. S/he will support organization of the Anticorruption Strategy monitoring and evaluation sessions, support organization of different capacity development events and review the work of the anticorruption experts and coordinators. IIEP is pleased to announce that registration is now open for all of its training sessions in Paris including the 52nd session of its flagship Advanced Training Programme (ATP) in Educational Planning and Management (2016-2017), the 4th session of the Education Sector Planning Course (ESP) (2016-2017) and the Specialized Courses Programme (SCP) to be held in April – May 2016. IIEP’s Advanced Training Programme (ATP) in Educational Planning and Management has, for five decades now, been successfully developing the professional expertise and leadership skills of civil servants and other education actors, preparing its trainees for careers in the highest ranks of educational administration. The ATP is an intensive and practice-oriented one-year course (six months online + six months residential in Paris), leading to a professional Master’s-level certificate. The ATP aims at strengthening the skills and knowledge of managers and experts in education in order to enable them to build better education systems worldwide. IIEP’s Education Sector Planning (ESP) Programme is the core of the ATP curriculum, offered as a shorter, stand-alone course. It enables participants to acquire the fundamental skills of educational planning and corresponds to the first phase of the ATP. Combining 12 weeks of online learning with a 13-week residential training phase, the ESP enables participants to acquire the fundamentals of educational planning – from education sector diagnosis to the preparation and monitoring of the implementation of an education sector plan. This is a good option for those who need to learn sector planning but whose schedules do not permit allow them to enrol for the longer programme. IIEP’s Specialized Courses Programme (SCP) offers six specialization courses, which develop capacities in management and analyses, addressing technical and managerial issues, strategy, monitoring and evaluation. Participants receive intensive, short-term, specialized training in specific areas of educational planning and management. Each course consists of a two-week residential training at IIEP in Paris. Trainees participate on a full-time basis in one to three courses offered in the 2016 programme. Further details on how to apply, along with the application form, are available on the IIEP website. The deadline for submission of applications for all programmes is 15 December 2015. We remain at your disposal should you require further information and hope to soon receive online applications from your country.